I had nights when I can't sleep, and bilang bookish that I am (Not proud of this, but sorry I'm not sorry, haha)--I Googled ways on how to sleep and ease the anxiety attacks (natawa friends ko when I told them I actually read up on these things, hahaha). Searching for unusual things like this will actually lead to helpful sites and forums where people of same concern as yours give each other tips, pieces of advice, and even prayers. One particular line that struck me and I remind myself with every time I experience panics nanaman is that: "Anxieties are only uncomfortable, but it's not dangerous." 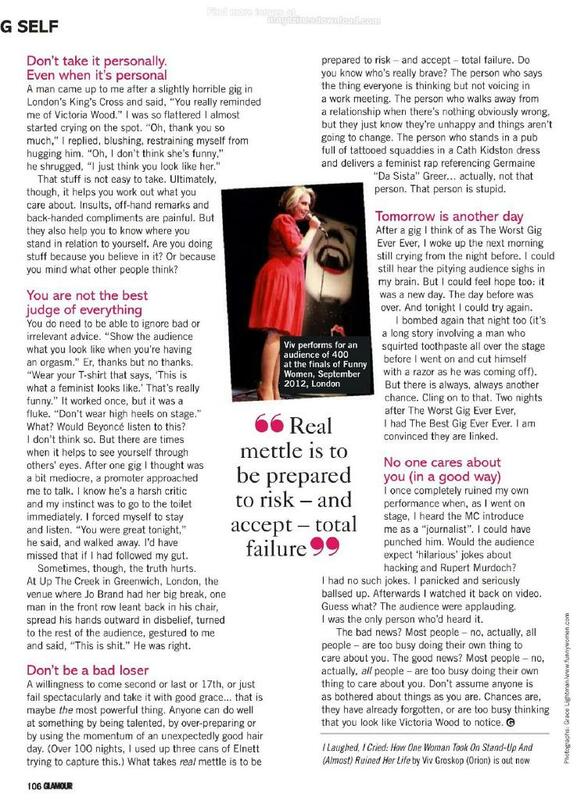 Ending with another self-help article (adik ako sa ganyan! 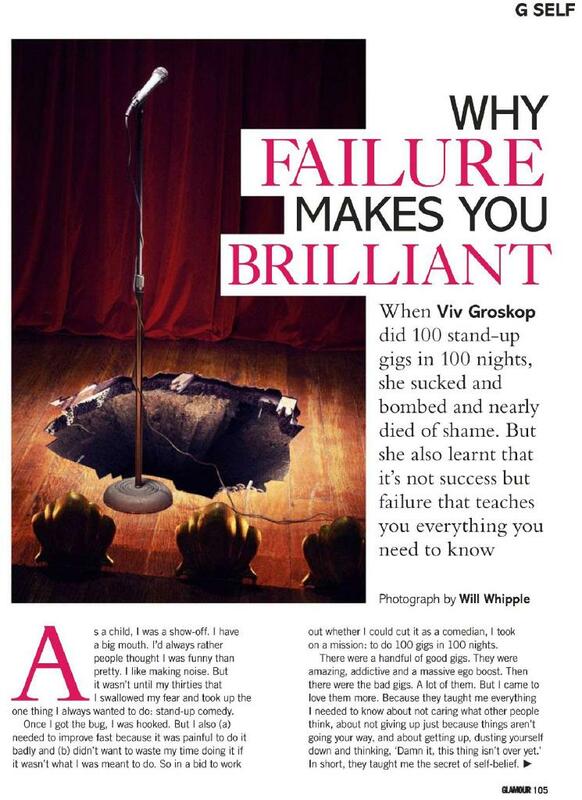 Haha) that I chanced upon while reading my Glamour UK e-magazine few nights ago on why failure makes you brilliant. Not only applicable to stand-up comedy, but in all other things we do in life that expose ourselves for the whole world to see (and judge) - even on simple things like posting a selfie, vlogging, and fashion blogging. I pray that even with all the dyahe, embarrassments, and self-doubts you have to go through, you continue what you love doing just to be a step further from yesterday! If you keep on going, then I am proud of you, brave kids! Laking help nitong shinare mong article. Na-printscreen ko na for future readings hahaha! Thanks for this, big sis! Sana brave kid din ako!